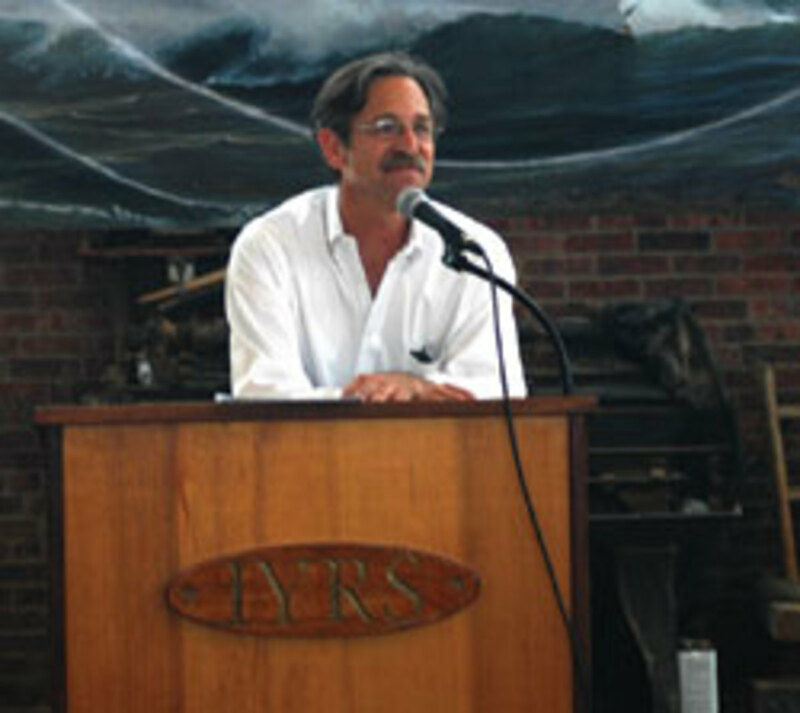 Terry Nathan is the president and a member of the board of trustees of Rhode Island’s International Yacht Restoration School. He joined IYRS in 2004 as president after more than two decades in the software industry. 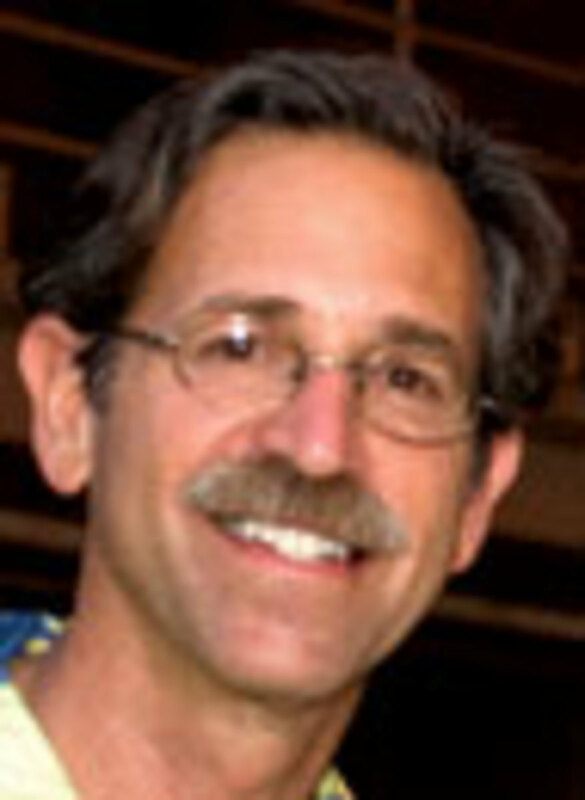 In 1985, Nathan, 57, and two others founded The Media Services Group, a software company with multiple products for books, magazines and newspapers. In 2001, he joined two Hewlett-Packard managers and a publishing software executive in a content and digital asset management startup. He has consulted on technology for major publishers in the United States and Canada. Nathan has a bachelor’s degree in humanities from Shimer College in Chicago and a master’s degree in literature from the University of Montana. A boating enthusiast, Nathan is married and lives in Newport, R.I. He has owned coastal cruising boats, a Herreshoff S-Class sailboat and currently has a 32-foot lobster-style powerboat. He is a member of the New York Yacht Club and enjoys the traveling that his job affords him. Q: How has the school grown since its opening in terms of the programs it offers and what it teaches students? A: The school opened in 1996 and graduated its first student in 1998. 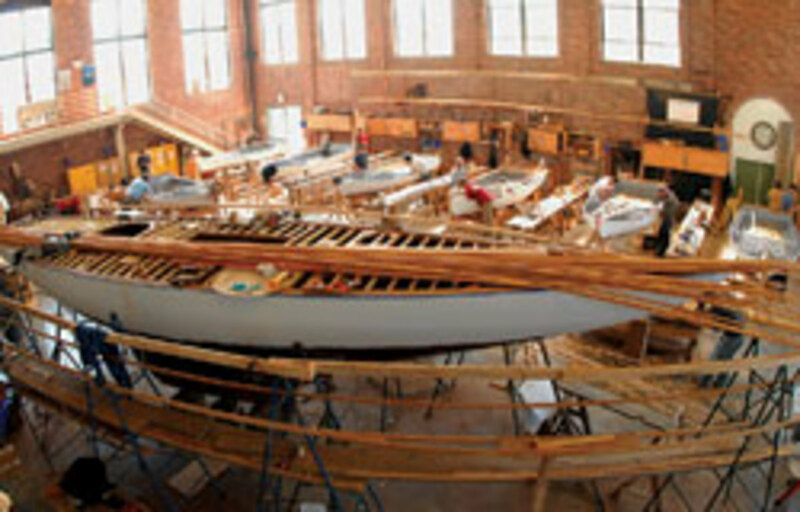 IYRS’s first program was in restoration and boatbuilding, based on a curriculum of plank-on-frame construction. And what we discovered along the way, particularly as we did a lot more partnering with our trade partners, was that we had a good education model, so the industry asked us to take that model and apply it to some other areas, including marine systems and building boats with modern materials like carbon fiber and composites. … The school has really done a good job of building programs so that it’s a partner to the marine trades, providing graduates with the kind of skills [needed] across a number of key areas in the industry. Q: You recently graduated your first class from the new composites program. How did that program come about and how would you rate its first year? A: The industry asked us if we would build a program focused on modern materials, but we’ve also gotten into composites because the school, in an effort to grow to a point of economic sustainability, really needed more programming. So this worked nicely for both the industry and for IYRS. In the development of the program and in its first year, we met all of our goals, which were largely built around building a state-of-the-art facility with equipment that reflects the sort of equipment and skill set that students coming out of the program will need to make a contribution immediately in the workplace. We enrolled the number of students we wanted in the first year, built out the curriculum and hired a very good instructor. We graduated the entire first-year class, and now we’re focused on the second year and making adjustments to the program that are pretty characteristic of starting anything new. We had eight full-time students. We graduated all eight and, upon graduation, six of the eight had jobs. Q: Is it difficult to keep up with the technology needed to teach your students? A: A school like ours has very high fixed and capital costs because there’s a lot of equipment. The equipment is changing. We’re having to reinvest constantly, not only in the core standard equipment, but in purchasing new equipment as the technology evolves. Thus far, through philanthropic help, help from the industry and some governmental help, we’ve managed to raise adequate funds to stay even with the curve. This is really important. You can teach students great skills, including career skills, but they have to be able to learn those skills using relevant equipment and learning how to work with equipment they’re going to find in the workplace. Q: Do you get a lot of support from the industry in terms of equipment donations? A: We get a good bit of support from the industry for equipment, a lot of in-kind donations. And, importantly, we get a lot of support from the industry in terms of providing us with oversight and guidance as our curriculum evolves. We’re always getting the kind of counsel that allows us to keep things relevant for the students when they get outside of IYRS. Q: What is the general background of your students — do they have marine experience? A: Our average age is around 28 years old, so we’re dealing with a lot of folks who come into the program who are already mature and know what they want to do in their careers. We get a fair number of students from New England simply because of the convenience and location, but our students come from all over the world. We’ve had students from Korea, Japan, all over Europe, from Greece and Germany and France and England. I think one of the common denominators of all of them is that they’re really passionate about learning the trade and going on after IYRS and working in the industry. Most of the students have had some exposure to the industry and to the part of the trade that they’re interested in. But there are a fair number of students who come to us — for example, in the restoration and woodworking program — who have no woodworking skills, per se, that they can demonstrate, but they have an aptitude. … I would say, because of our very low attrition rate, we’re pretty good at spotting those that don’t have direct skills but have the aptitude, and they’re successful getting through the program and coming out the other end with jobs in the marine trade. This past year we had 60 full-time students. Another really important metric that we’re very proud of and that we’re measured by is that approximately 90 percent of our graduates for the last several years have had jobs when they leave IYRS. The industry sees value in an IYRS graduate and they’re rewarding these people with jobs. We’ve been slowly growing [student body]. The year prior, we had 50 students. So we’ve been slowly growing and that’s quite a feat, given that we’re supporting an industry that’s certainly been challenged by the economy. Q: The marine industry has shrunk since the recession hit. How are you helping students find jobs when they graduate? A: One of the things that IYRS has done this past year in support of the students, both while they’re getting their IYRS education and after, is providing student services and career counseling, including career placement. We’re actively, throughout the year, assessing student capabilities and skills and trying to match those up with yards and [other places] where we know there are opportunities. We really stay closely in touch with the industry, so we have the ability to match up graduates with industry opportunity. And also over the last couple of years, as IYRS’s reputation has become more widely known, the industry comes around on a regular basis. There are career fairs to see what the availability of the labor pool is and, as I said, many of our students when they graduate already have job offers. Q: Is there a concern that there are not enough skilled workers in the industry? A: I think that is true. There are a number of people who have done some informal studies about that, and one of the things that appears to be occurring in some regions where the marine trades have a fair presence is that some of the skill sets are sort of declining as some of the workers get older and retire, and many of the workers coming in after them don’t have the same skills. I think this is one challenge. Another challenge is that as the industry has adopted through natural evolution a lot of new technologies. Both on the mechanical side and the building side, whole new skill sets have to be developed. I think this is something that IYRS keeps its eye on, especially as it relates to programs like the new composites program. One other aspect that I think makes IYRS unique as an educational institution is that some of the core craft skills we’re teaching are really almost akin, in a four-year college, to a liberal arts education so that skills the students are learning are preparing them even if they’re going to work in an environment that has wholly new challenges that they haven’t seen at IYRS. I guess the best way to describe some of what we do is preparing students for the workplace and teaching them how to continue the learning process as they enter the work force. Q: Are students required to do internships during their time at IYRS? A: The nine-month [marine systems] program concludes with a short internship. In the restoration and boatbuilding program, between the first and second years of the program, the students have internships. We’re putting them in the workplace. We’re putting them in an environment where they can see what sort of experiences they might have after they graduate. And we’re giving the employers who are providing the internships an opportunity to not only see a specific IYRS graduate who in some cases might end up with a job at that employer, but sort of sense what sort of a student comes out of IYRS. In some instances, they go on to become employed where they did their internship. Q: What kind of support does IYRS get from Rhode Island’s marine trade association? A: IYRS is a participant in the Rhode Island Marine Trades Association. We’re an active member. We’re very much involved in the association. Some of the members of the association, independent of the association, sit on our advisory boards. In the past, the association has contributed to some of the programming that we’ve developed. A lot of the financial support that has gone into building our program — purchasing new equipment when necessary — has come also from philanthropic support, people both in and outside the industry who are believers in the educational programs that we have at IYRS. And we’ve had the good fortune in a couple of instances of getting federal grants to help support the composites program and the restoration of one of our school buildings. Q: Where do you see IYRS headed in the future? A: The school’s mission is to continue to build enrollment for the three full-time programs it has. We’ve spent over the last several years about $2 million to develop programming, so now our focus is on building enrollment. But our focus is also on taking the investment that we’ve made in these programs and finding ways to support other related revenue streams, like continuing education and expanding out into the market with programs that have been essentially billed as hybrids off these three full-time programs.